Looking to have an in-depth conversation about one of the many hot topics in social media marketing? 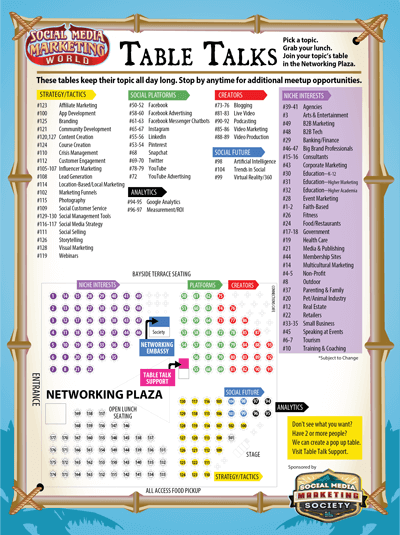 You can grab your lunch on either day and join a conversation that interests you in the Networking Plaza. WHAT: Pick a Topic or Niche of that sparks your interest, grab your lunch and join the conversation at a table in the Networking Plaza. HOW: Download the map and identify your topic from the list. At the event, look for your table in the color zone and enjoy lunch and engage in lively discussions about your topic or niche. These tables keep their topic all day long. Stop by anytime for additional meetup opportunities. 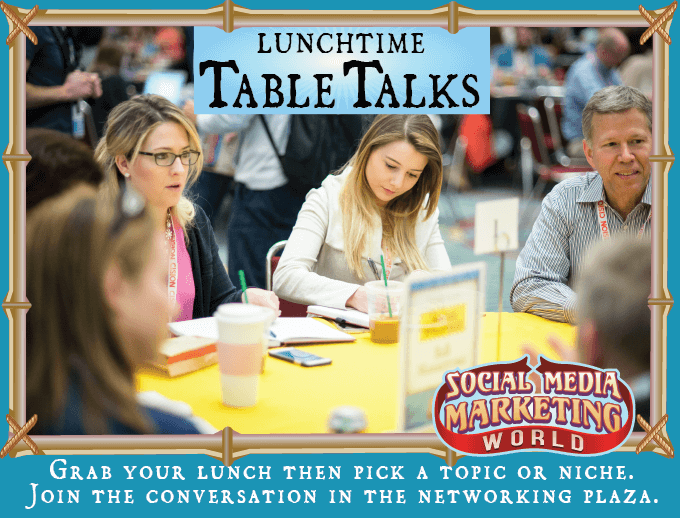 Sponsored By: The Table Talks are brought to you by the Social Media Marketing Society, where we keep you on the leading edge of social media marketing.